Teri Gloeckl earned a Bachelor’s degree and a Master’s degree in Accounting from Florida State University (“FSU”) graduating in the top of her class. Due to her superior performance in the classroom she was selected to teach accounting in the College of Business and represent FSU as a student spokesperson while in the graduate program. Ms. Gloeckl is a Certified Public Accountant (CPA) in the state of Florida. 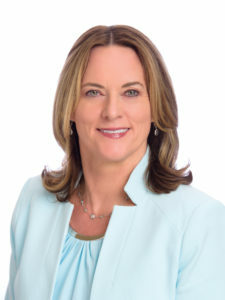 Ms. Gloeckl began her career with Ernst & Young (“E&Y”) in the Tampa office concentrating in audit for a variety of industries including healthcare, manufacturing and banking and has over 20 years of experience in financial analysis, accounting and auditing. Ms. Gloeckl also worked in E&Y’s Boston office within the real estate investment advisors group. While serving in this role, Ms. Gloeckl analyzed potential syndication investments for Fortune 500 companies and other clients of the firm. In addition to her work with E&Y, Ms. Gloeckl was VP of Syndication for a Tampa Bay investment firm, successfully managing over 300 properties in private placement offerings with investments totaling over $150 million. During her years with this firm, she was responsible for the preparation of financial projections, tax return reviews, analysis of fund performance, and was also involved with multifamily housing development loans and federal tax credit programs. Additionally, Ms. Gloeckl worked with the internal audit group of Honeywell International (“Honeywell”) investigating fraud and mischarges. In this role Ms. Gloeckl advised upper management and coordinated with government representatives from DCAA. Ms. Gloeckl has been a member of the AICPA, FICPA and was a recipient of the Golden Herald Award, Beta Alpha Psi, and Business Women of America Scholarships based on academic excellence and leadership skills.